Anker is releasing a 7-in-1 premium USB-C hub, which comes a few months after their 5-in-1 adapter ($59.99, rated 4.5 ). Massive Expansion: 3 standard USB ports, 1 HDMI port, 2 SD card slots (one microSD), and a USB-C Power Delivery charging port—all in one hub. High-Speed, High-Def: Stream 4K video, and access 5 Gbps data transfer speeds. SD Ready: Swap and read standard SD and microSD cards, for superior data-storing versatility. What You Get: Anker Premium 7-in-1 USB-C Hub, travel pouch, welcome guide, worry-free 18-month warranty, and friendly customer service. 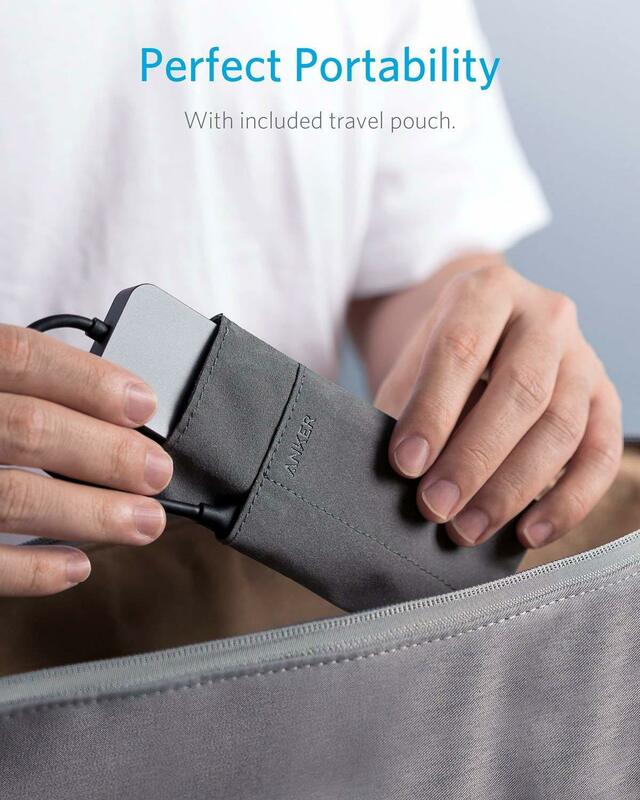 Note: It appears as though the included travel pouch still displays the old Anker logo. Pricing and Availability: Anker's 7-in-1 premium USB-C hub is available to order via Amazon US today for a cost of $69.99 and should begin shipping right away, although there is limited stock. What are your thoughts on this adapter? Would any of your devices be compatible with it? Let us know everything you're thinking by dropping a reply! Looks nice, but no power delivery to power laptops. At this price range, I would go for other hubs that support PD fast charging of laptops and other USB C devices. @AnkerTechnical, if I am reading this right, there is 11W of overhead. Does this mean that when the adapter is plugged into a >60W source, more will be available to an attached USB-PD consumer? What version of HDMI, 1.4, 2, 2.1? What are the 4k capabilities? May I suggest a DisplayPort version be considered? I'm hard pressed to overstate the productivity advantages of multiple, daisy-chained displays for many types of workers. Dropping any notebook on the desk and connecting up to a set of 4k displays with one cable would be fantastic. Is there a live link to an Anklet.com product page? I will never buy this product because of reasons already mentioned by others. I don't want junk all over the place so I want my stuff to be multi-functional. I would only consider this product if all ports are able to output 3A+, simultaneously. I look at it more as a simple USB dock instead of a charger. Possible use case: AC power to monitor, USB-C to 7in1, USB-PD out to notebook, and stock USB 3 to peripherals , e.g. keyboard, mouse, portable drive. Your point about charging capability is relevant given high demand peripherals like drives & mobiles. That said, there is worthwhile capability in the device. Right now I don't have a use for it. But I do like the fact that if I had a USB-C cellphone or tablet I could take my SD card out my camera and transfer data over to my cellphone. This would be easier than turning wi-fi on my camera and pair it with my phone and then move the files over. I also like that it has HDMI so I could stream a movie from my cellphone to my dumb TV without having move my Chromecast to another TV if I want to watch a movie on a different TV. True, it's much more than nothing. So that's certainly good. 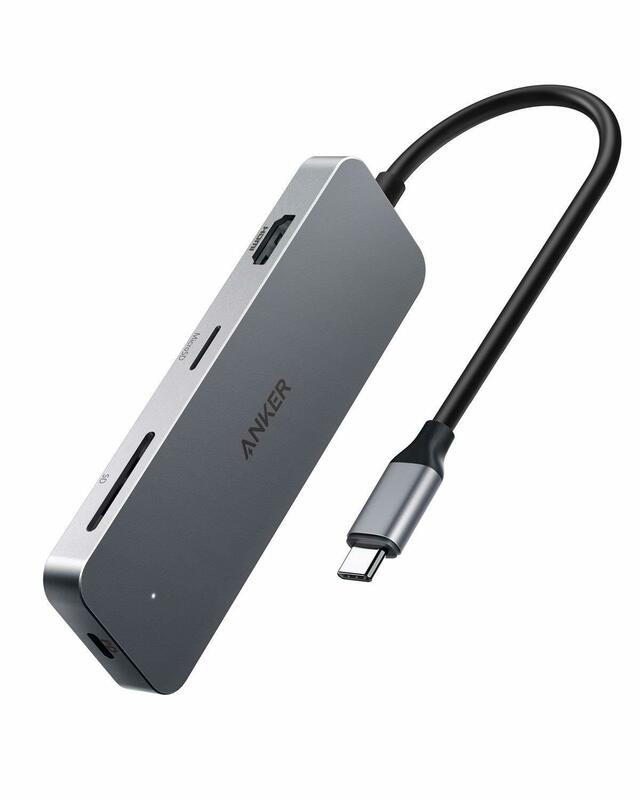 But considering the price of Anker products I would like to see a little extra. Anker's build quality matches the higher price. But Anker's usability lags their prices a bit. That's room for improvement. Price has increased by $5 (now $74.99) and this should begin shipping immediately. It is unclear what changes/upgrades have been implemented.